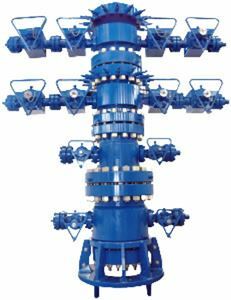 A conventional wellhead from KOP Surface Products. Singapore-headquartered KOP Surface Products, which employs 450 people, is a provider of wellheads, surface trees, valves, actuators and aftermarket services for the oil and gas industry. The company has a manufacturing plant in Batam, Indonesia, and a network of sales and service offices in Malaysia, Thailand, Vietnam, Qatar, UAE, Saudi Arabia and India. “From a technology, service and talent standpoint, this is an excellent fit and we look forward to our future together as a combined organization,” said Gordon Cameron, chief executive of KOP Surface Products. Cameron will continue to serve as president of KOP Surface Products and report into Coppinger. The Weir Group plc is acquiring oil and gas technology provider KOP Surface Products from Norway’s Akastor ASA for US$114 million in cash.